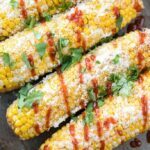 This simple Mexican Corn on the Cob with Sriracha and Cilantro is the perfect simple side dish to go with all your favorite Food Truck Friday main dish creations! 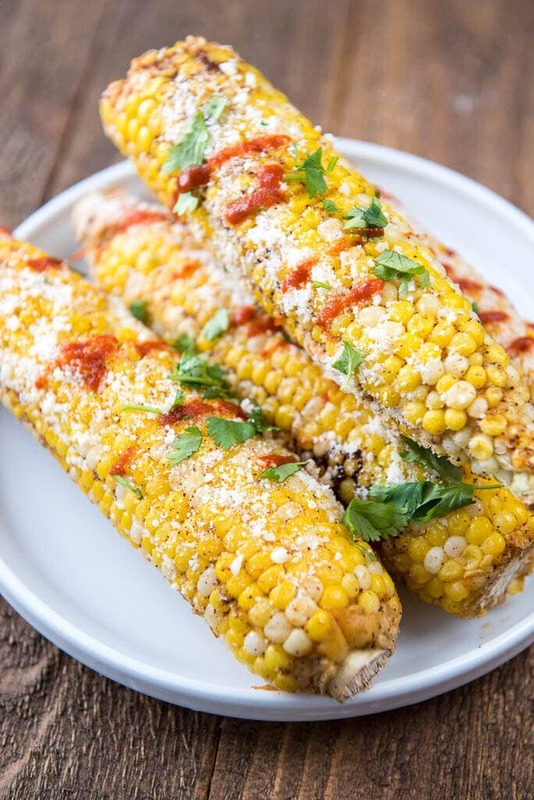 Let’s keep our Food Truck Friday edition rolling with another tasty must-have creation, Mexican Corn on the Cob with Sriracha! 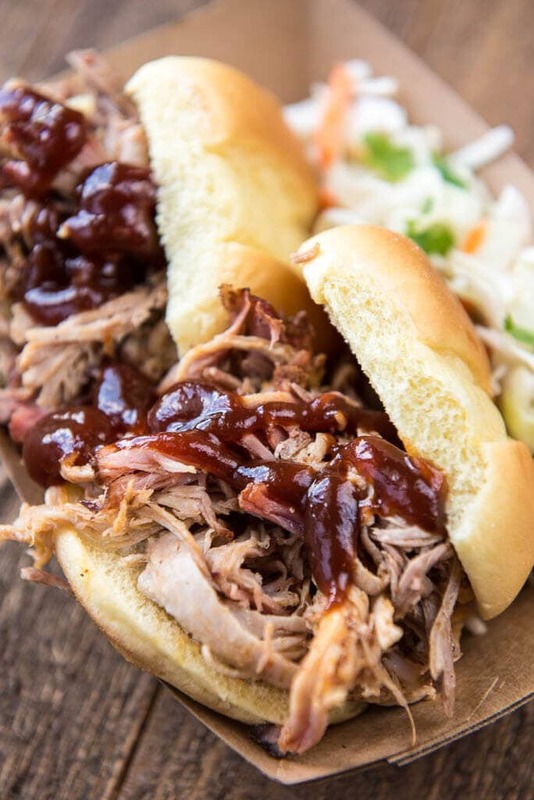 Now, keep in mind, this is just my own take on making a traditional dish, simplifying so that we can all enjoy it even on the busiest of days, and if made on the grill, can be enjoyed in minutes! 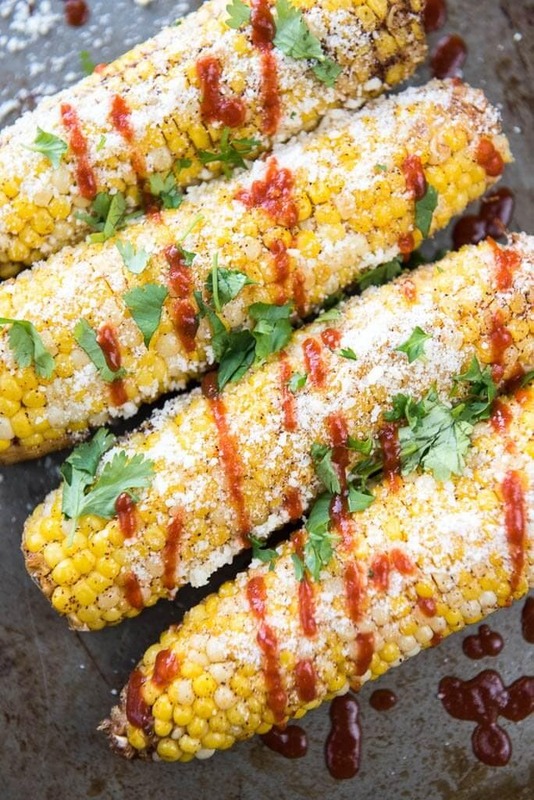 We simply grill or even slow cook the corn, if you have more time, then add our toppings. Like I said, we start out with just the basics, a little fresh sweet corn along with a bit of butter or oil all wrapped up in some foil for ease of cooking. Toss on the grill if you’ve got something going on there already, or, you can even put in the slow cooker for a few hours. Just a tad of seasoning and that’s all it takes to get started. 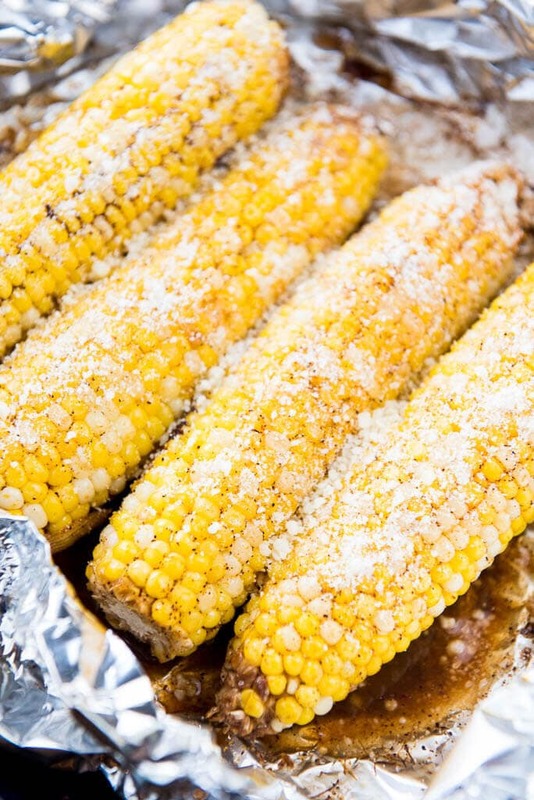 Once the corn is done to a crisp tender, pull it off, and finish it off with your choice of additional toppings. 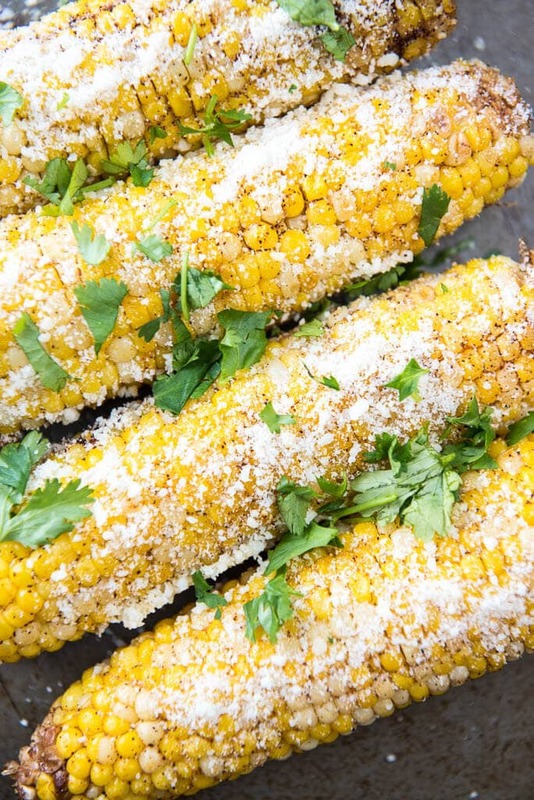 Some fresh grated parmesan and chopped cilantro with a squeeze of lime juice always pair well with sweet corn, especially for a summer treat. 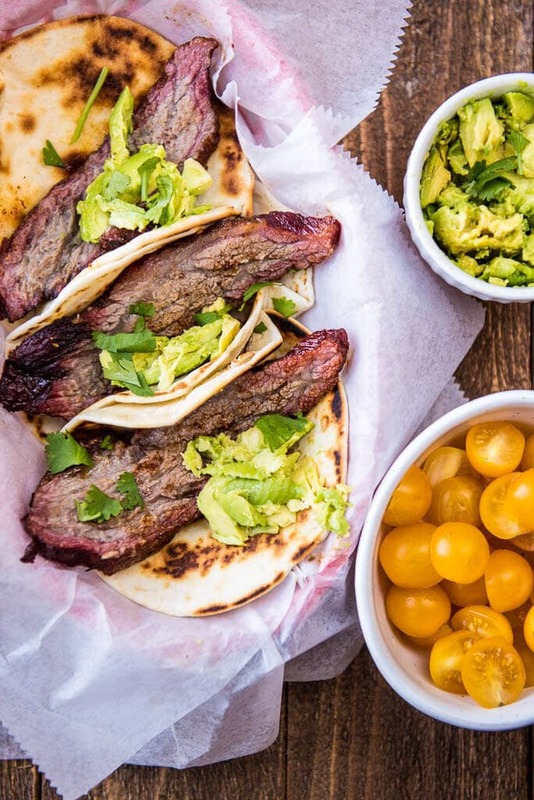 If you are feeling adventurous you could add cotija cheese instead. I then like to take it up just a notch and add some Sriracha for a bit of a spicy kick. 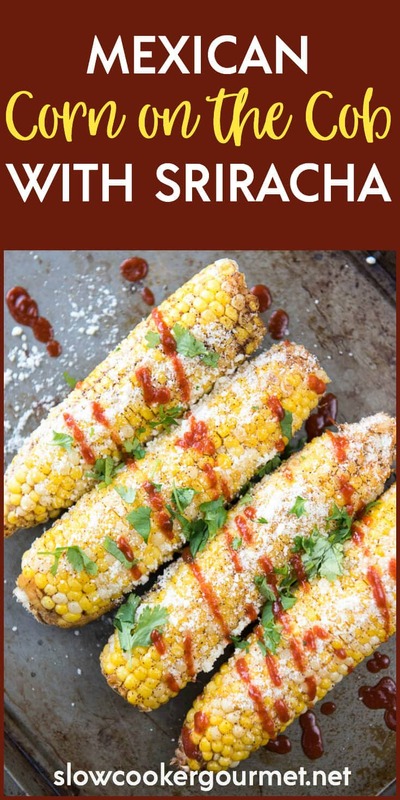 We eat a version of this at least once a week around here, it just goes so well with just about any summer dinner and is so simple to make! 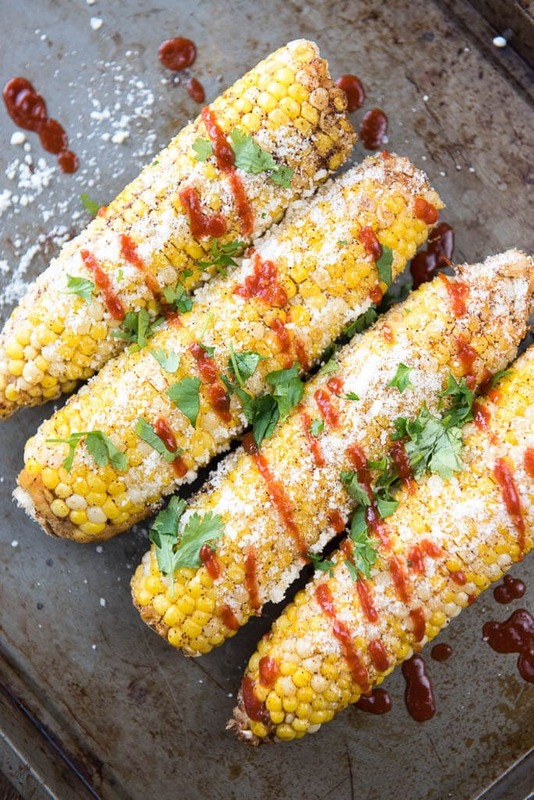 Optional: Place foil wrapped corn in slow cooker instead of on grill. Cook on high for 2 hours or low for 4. Not exaggerating when I say I could eat elotes all day, every day. This looks absolutely amazing!